Android devices are making our life easier than before. From morning to night we carry our Android devices with us for various purposes. As a human being, we forget many things to do. In the busy schedule of our life, forgetting something is a common issue. For this reason, reminder apps are made for such things. You can use a reminder app to help you out with this problem. 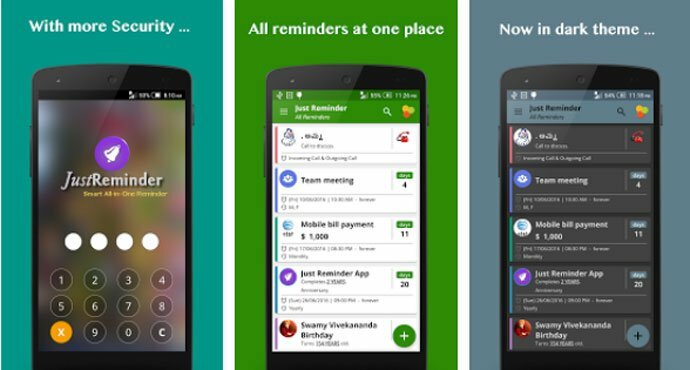 There are hundreds of reminder app in the Google Play Store for Android users. Although, every single app is not up to the mark. 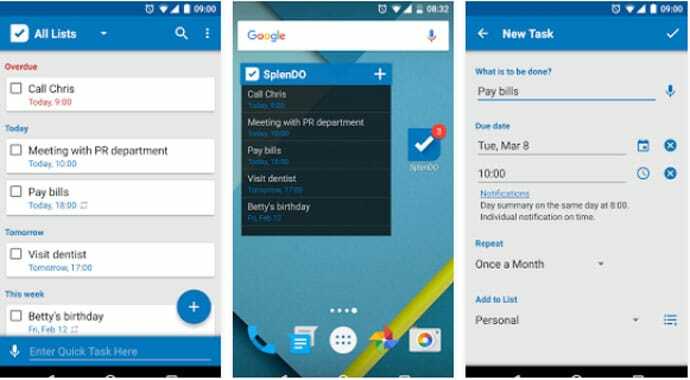 That’s why we reviewed The 10 Best Reminder App for Android Devices. Hope this article will help you to find out the best one. In the first place, we want to suggest you Any.do. 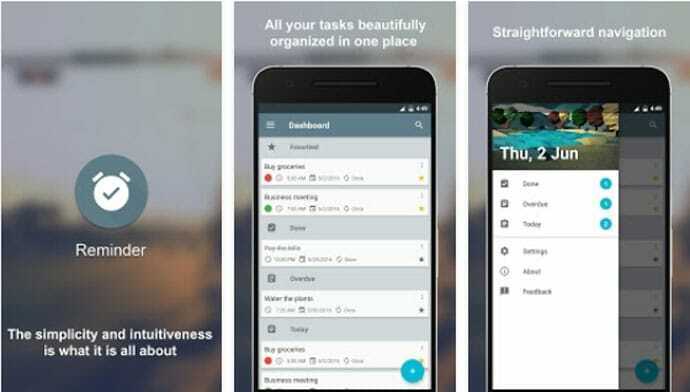 Any.do is one of the Best Reminder App for Android. The first thing to remember, this one is the editor’s choice app which comes from the top developer of Google Play Store. Easily set your reminder from home screen widget and sync with your laptop, tablets, and web. So that, you don’t forget anything. It also allows you to various type of reminder including, one-time reminder, recurring reminder, and locations reminder. You can also have a Powerful task list management, Daily planner, Life organizer, Share lists, Assing tasks, Grocery list, and Shopping list. Another Editor’s Choice app in our list is Todoist. 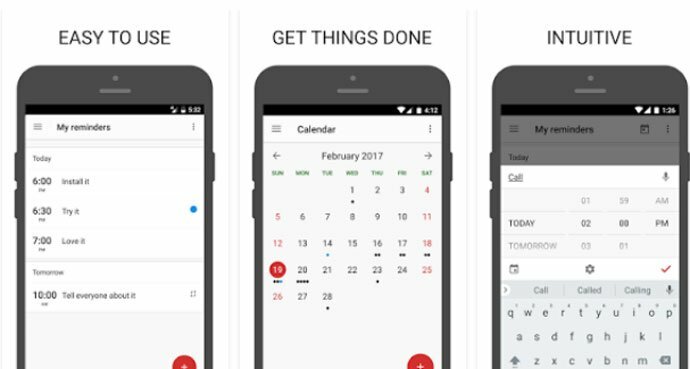 Todoist is more than a reminder app. Set any kind of reminder including recurring and track your important reminder. So that, you don’t miss any deadlines. It will take your to-do list to the another level with sub-tasks, color-coded projects, and priority levels. Set weekly/monthly goals to using Todoist Karma. It also provides an offline mode to add, complete and re-schedule task when you are offline. On the other hand, it has an automatic sync across all your device. Easy and quick reminder app for your daily task. Use as your Medication Reminder App or use to do anything to remind. Instantly set a reminder from the smart home screen widget which is very user-friendly. On the other hand, it will allow you to add text by your voice. To add something quickly, use the quick task bar. From your shopping to taking medicine, To Do list will help you in every way. Intelligent notification system to do such things you forgot frequently. 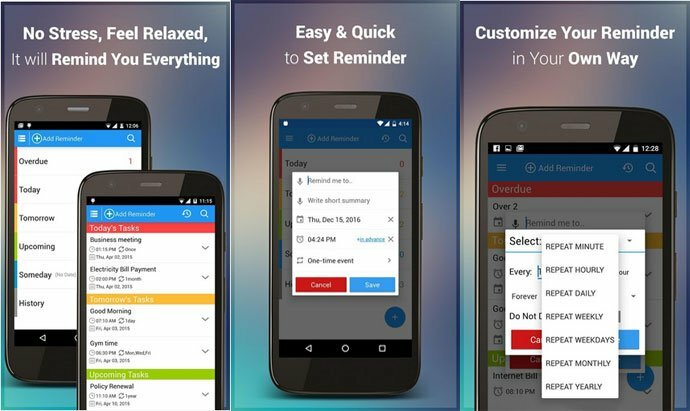 To Do Reminder With Alarm is another Top Rated Free Reminder App for Android. It has a lot of features including basic and advanced. A fully customizable reminder will allow you to set any type of reminder. Speech-to-text features to take reminder without typing. You can set an advance alert for your reminder. On the other hand, you can choose your favorite music as reminder tone. Remember your friends birthday or anniversary which synchronize from Facebook, Phonebook, Google Calendar, or you can set it manually. It also has the Social site features, Backup & Restores option, Home screen widget, and Day and Night theme. Never forget a single thing of your life with Life Reminder. Life Reminder comes from the top developer of Google Play Store. Easily set a reminder and forget about it, Life Reminder will remind you when it comes to doing. Important meeting or taking the medicine you can be alert for anything. This one is the free version of Life Reminder. Still, it is very useful and one of the Best Reminder App for Android. Set your reminder and get reminded via Mobile notification, Text, email, and twitter. 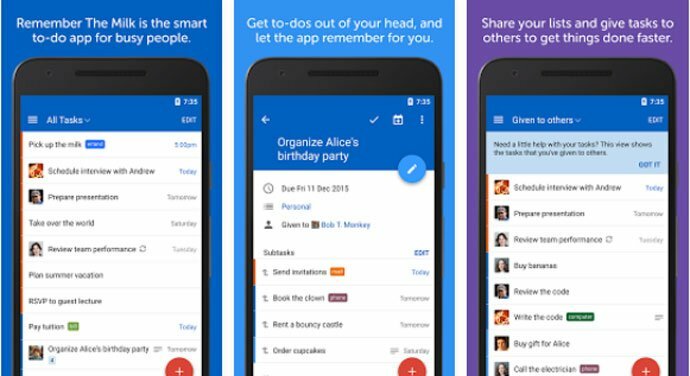 Now you can forget your to-dos, and let the app remember for you. The app also allows you to share things with others and they can do it for you faster. Stay organizes the way you want and sync with your all device. Search for your important tasks and save them in your smart list. See the task and plan nearby you, and remark them by importance. BZ Reminder is one of the quickest reminder apps. For this reason, you can add or set a reminder within seconds. Another key point, you can set a reminder right from your Android wear. Set the various type of reminder including recurring task with colors. So that, you can be aware of an important task. Get updated with BZ Reminder like Birthdays, and Missed call reminder. It also provides Seamless cloud sync, Customizable widget, and Calendar with Reminders. Just Reminder will let you remind each and every single task. Use this one as your Pill Reminder App. The first thing to remember, it has unique features to set your reminder with image, specific ring tone or talking alarm tone. Speech-to-text feature for voice note taking. Fully customizable and free to set advance reminder alert. Even you can customize time and date format. Smart bill reminder, Auto snooze, Birthday/Anniversary reminder, and Backup and Restore features for your task. Get a reminder for your daily task and important event by Google Keep. 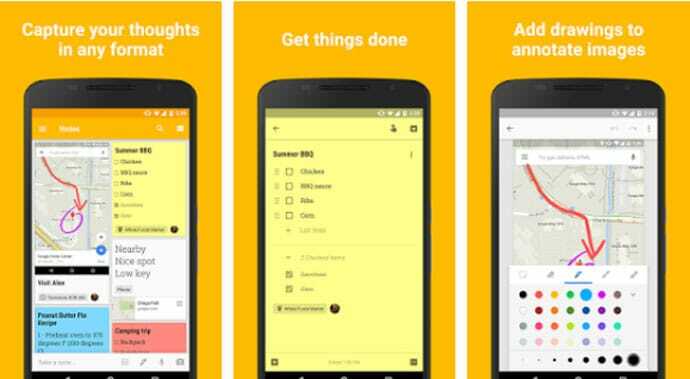 Google Keep is a useful reminder app from the top developer of Google Play Store. Quickly capture what’s on your mind and get a reminder later at the right time or place. Google Keep has all the basic and some advanced features for a perfect reminder app. Save your reminder with color and labels based on priority. Automatically stay sync with your all device. Location based reminder for such as your grocery shopping, medicine and etc. Finally, we are at number ten with Reminder. Reminder-a must have reminder app that will never let you miss a thing. Homework or Assignment, Anniversary or Meeting don’t forget anything. Just set a reminder and let the app keep it in mind for you. Advanced reminder, Notification, and Alert for an important task. Pay your bills, Take your medicine, Make an important call at the right time which reminded by the Reminder. Use home screen widget to set a reminder quickly. As we know, in our busy life we frequently forget many things to do. But, not anymore. Your android device can keep you updated with those things. 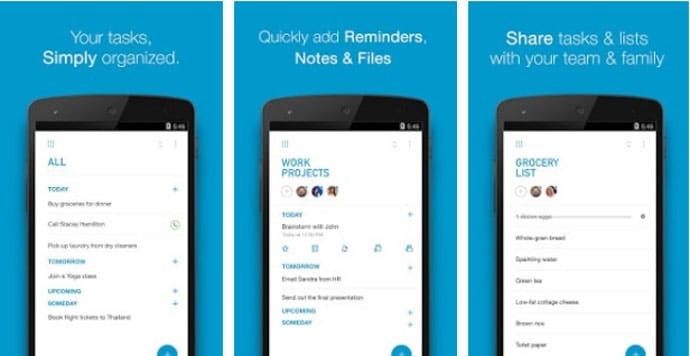 Just download a reminder app to remember your to-do list. 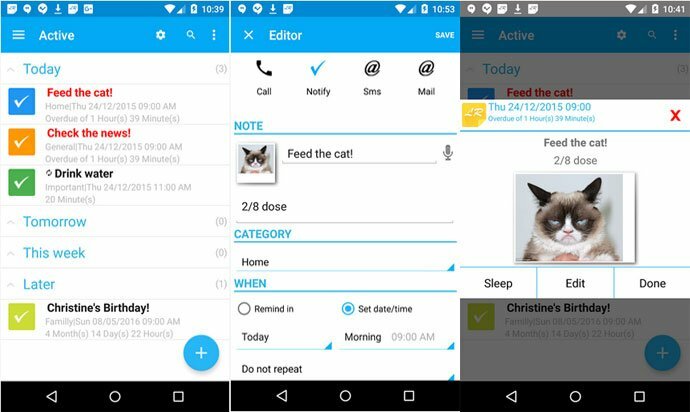 Pick the best one from our 10 Best Reminder App for Android. From now, let the app remind you everything.